It was the X Factor Australia grand finale on Monday, Nov. 21, and the winner of 2016’s show was Isaiah Firebrace. Firebrace captured countless hearts with his rendition of One Direction’s “It’s Gotta Be You,” and while we foresee a bright future for Firebrace, he’s also got a pretty interesting past. Here are eight things you need to know about the teenager who stole the show. Firebrace hails from the small country town of Moama and was born on Nov. 21, 1999. And yes, you got it, he won X Factor Australia on his birthday — personally, we couldn’t think of a better present. It's gotta be YOU, @isaiahfirebrace_official! 👊 Our 2016 #xfactorau winner's debut single, 'It's Gotta Be You', is available now! All deets at our site (link in bio). A picture speaks a thousand words, and this one melts our hearts! One glance at Firebrace’s Instagram account and you can see that he’s a big fan of the beach, and he clearly enjoys visiting a variety of different places. In 2015, Firebrace tried his luck at X Factor Australia, only to leave disappointed after he forgot the lyrics to a song during the boot camp part of the show. He subsequently lost his place in the competition — but things have definitely turned out in his favour. A message from @isaiahfirebrace_official to you, moments after his life changed forever. ❤️ Watch Isaiah's full winner's interview at the #xfactorau site! It turns out that Iggy Azalea is a big fan of Firebrace, and his heartfelt rendition of Beyoncé’s “Halo” actually had her tearing up. After his performance, Azalea gushed about the young singer and how relatable he was to her. Not only that, but she also hand-delivered a very epic-looking birthday present to the young singer. It never hurts to have friends in high places, right? Firebrace posts a lot of cool images on Instagram, so it’s not surprising that he has already garnered over 32,000 fans on the social networking site — and his road to stardom is just beginning. While not exactly a life-changing fact, can we just throw it out there that Firebrace has maybe the best eyebrows ever! Seriously, move over Cara Delevingne. 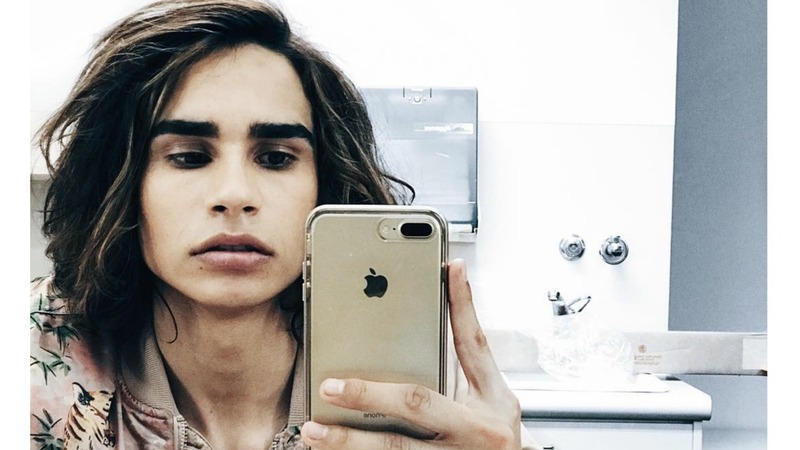 Are you pleased Isaiah Firebrace won X Factor Australia? Share your thoughts with us in the comments below.